Flamboyant Shahid Afridi who was not included in the names announced for ODI series against India has shown some good form of late during the practice sessions. He scored 52 runs off 40 balls and 92 off 64 balls on Monday and Wednesday respectively during practice sessions. There was more control and composure seen in his shots as he played a variety of strokes including sweep, cut and straight bat drives rather than hitting wildly and blindly. According to the skipper Misbah Ul Haq, Afridi could be considered in the ODI squad if he continued performances like that. He has shown a lot of confidence and improvement during the training and conditioning camp at Lahore for the India tour. Misbah added that the Pakistan team definitely needed senior players to perform well and Afridi has always been a key senior player in ODIs as well both with bat and ball. If he performs well with the bat as well, the team definitely needed him and would definitely be given a consideration. 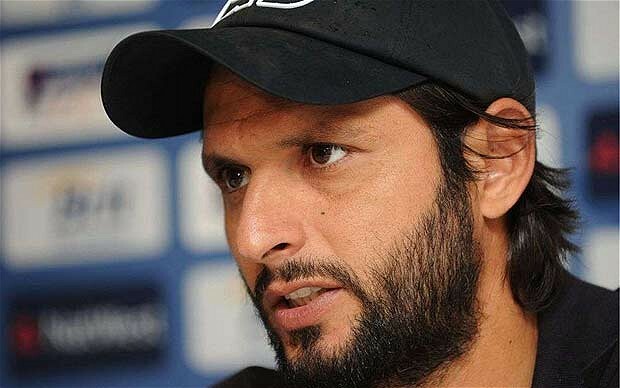 Afridi is already in the squad for the T20 series although he had performed poorly with bat in T20 World Cup in Sri Lanka, scoring just 30 runs in six matches. Even in the national T20 championships, he was unable to impress with bat and the rusty performance continued. However, his recent form is a good omen for the skipper as well as for the country.